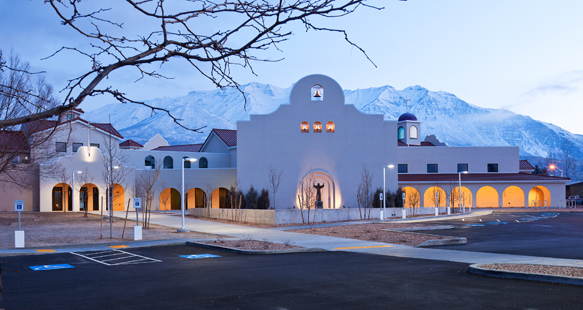 A growing parish population was the impetus for construction of this new church in Orem, Utah. 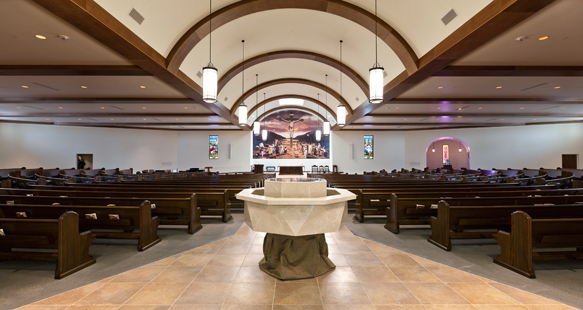 The new parish for the Catholic Diocese allowed for them to move their mass services from a gymnasium into an impressive 1,000 seat church. 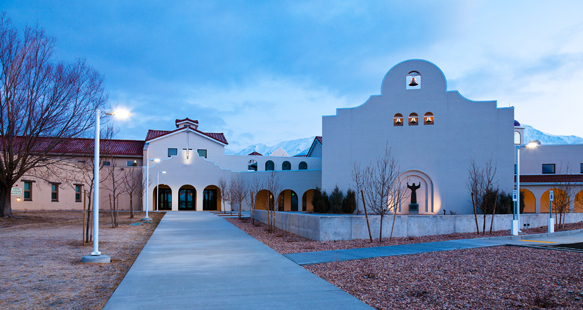 The church is constructed with a masonry exterior and a steel and deck and wood roofing system. 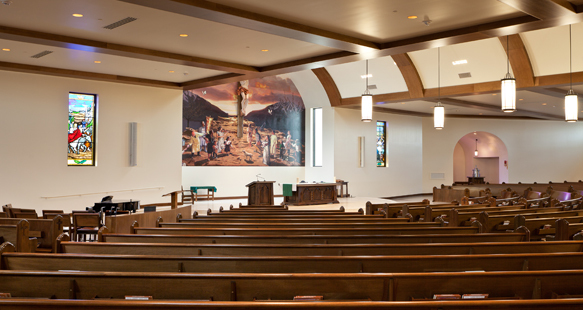 The project also included new offices for pastoral administration, a gymnasium/social hall, a kitchen and classrooms for religious education in the basement for a total 20,300 square ft.